The Verifone IntelliNAC 16 is ideal for fast paced environments with a high volume of transactions who are looking to effectively scale. Quick and dependable, this POS solution uses business logic to increase productivity and capacity. IntelliNAC is a cost-effective way to improve your existing infrastructure, without wasting time and money on expensive upgrades. This piece of smart networking hardware technology delivers speed, performance and security. This network operator is equipped with high reporting capabilities and data capacities. It contains IntelliView, an integrated network management and reporting system, and LogARithm, which allows the storage of up to 50 million transactions a day. 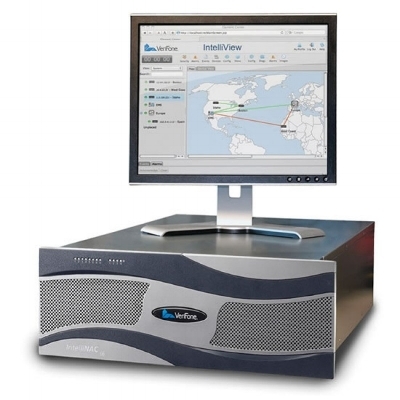 IntelliNAC accommodates for both dial up and Ethernet transactions, and supports Hot Swap functionality. The Verifone IntelliNAC 16 is flexible, manageable and reliable. It is prepared for high-density environments, with a fast processor, a secure network and user-friendly management. It features an integrated network management and reporting system allows for easy monitoring, and it also generates reports and performs statistical analyses to uncover consumer trends. Firemane specialises in the bulk sale of new, refurbished and used POS equipment to resellers across the globe. To place a bulk order of new Verifone IntelliNAC 16 POS devices, get in touch with us today.